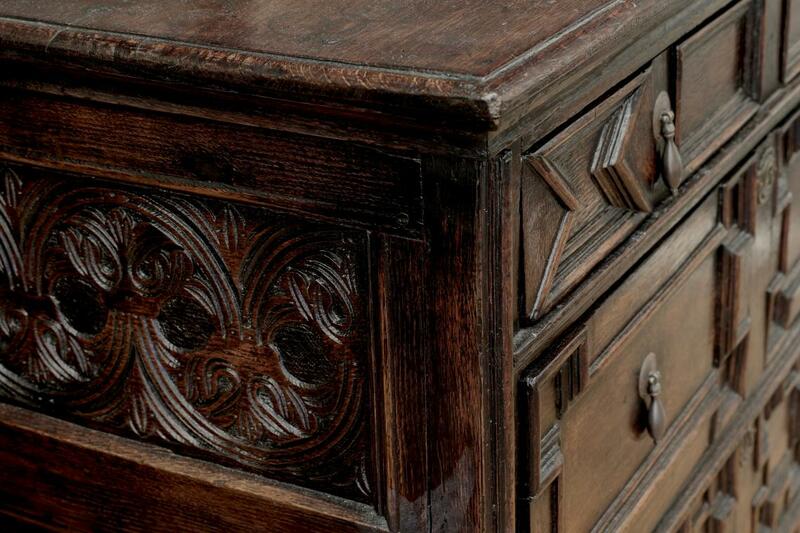 An English Jacobean oak chest of drawers, dating from the mid 1600s. This is one of the oldest items we have in stock. 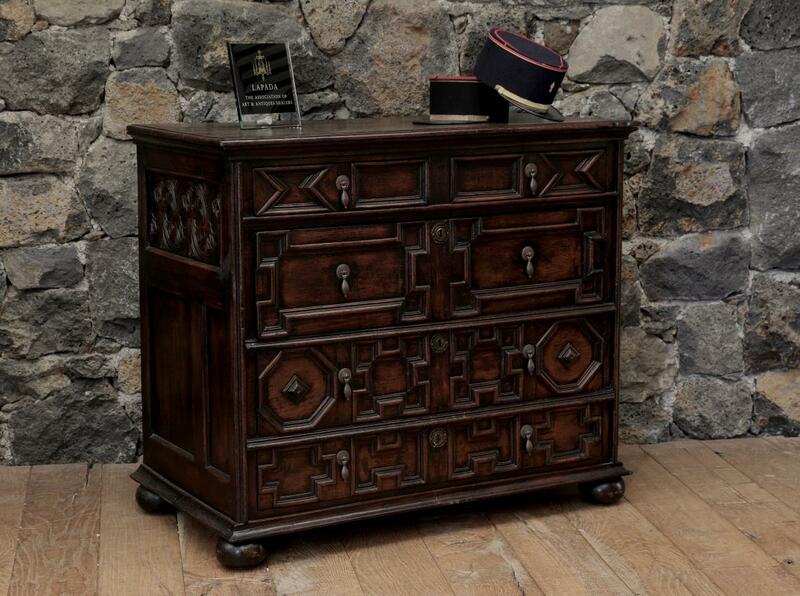 The chest comprises four long drawers, with differing geometric mouldings on each. Bun feet support this panel-ended chest, with carving to each end. It is possibly Elizabethan in period. Excellent colour and patina. If you are interested in this piece or would like more details please call us on +64 9 529 1660 or email info@js.co.nz quoting #106-54.